We have special offers to help you stretch your budget. Stay at our three bedroom apartment for three to six nights and enjoy reduced rates. Hurry and book our apartments early. Check our website for the latest rates. The three bedroom apartment is a self contained apartment. The apartment features quality king/queen and single bedding. The room caters for a maximum of 7 adults. The apartment offers views to the ocean over the surf cluib? 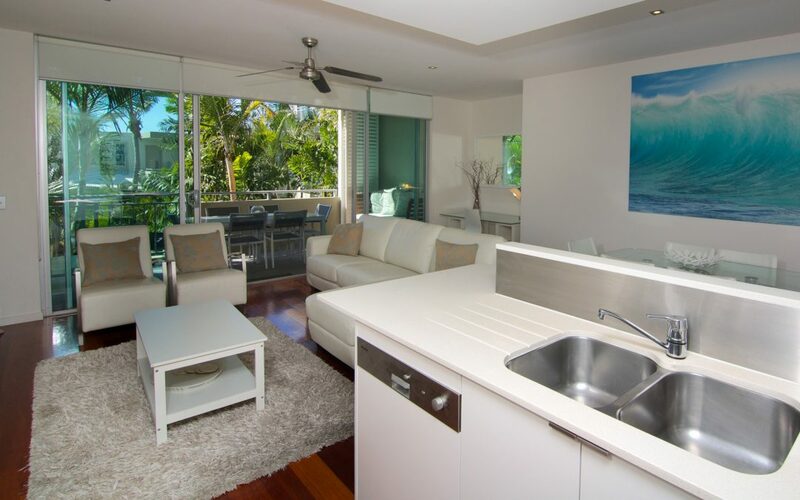 Perfect for families and friends, book your stay at our Cabarita Beach Accommodation. The self contained two bedroom apartments one heated pool and spa, gymnasium, DVDs, Foxtel, cots, high chair, WiFi and more. Aside from our fully self contained apartments, we also have guest facilities for your comfort and convenience. The guest facilities include two outdoor swimming pools, a fitness room, restaurant and bar, conference/meeting room, direct beach access, dry cleaning services, secure parking, spa, tour desk, WiFi access, and more. to chat with family and friends. Keep up to date with the latest news. Post pictures on Instagram and Facebook. Take a leisurely swim in our pool. Fire up the barbie and grill some steaks and seafood using our barbecue facilities. Our resort features an onsite restaurant so you can conveniently grab a bite to eat any time of the day. Enjoy delicious meals amidst a chic ambience. Our tour desk staff can help you enjoy the holiday you deserve by assisting you with tour bookings and transportation.